Preferred by the general infantry, this Foot Soldiers Kettle Helmet is a rendition of the classic kettle hat, which was first made in England around 1011. Easy to make and surprisingly protective, this helmet was a favorite for a good reason, and what it lacked in noble appeal and courtly style, it more than made up for with its generally protective and effective design. In fact, while knightly helms changed and evolved, the kettle hat remained in use concurrently, alongside them all, without enduring much change. This kettle hat features a rounded skull-cat with a center ridge, to help deflect strikes and impacts away from the center-line of the head, as well as a wide brim that continues to guide projectiles, strikes, and falling objects away from the wearer, as well. This particular helm is also accented with rivets around the brim, for added durability and strength. 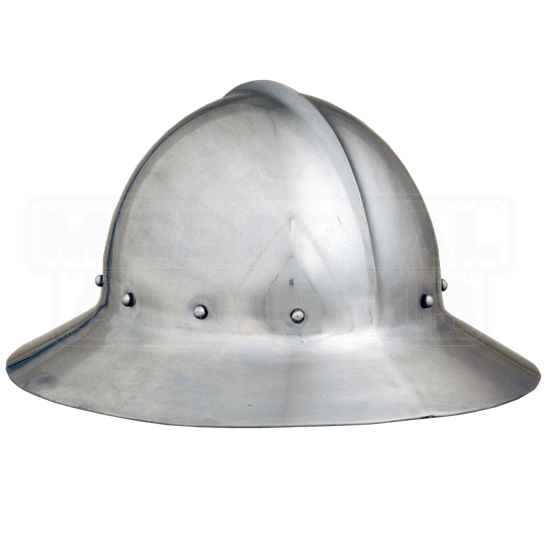 The helmet is made entirely from 18 gauge steel, making it perfect for costuming and LARPing, and it comes complete with an internal liner, for that extra touch of offered comfort, when worn. 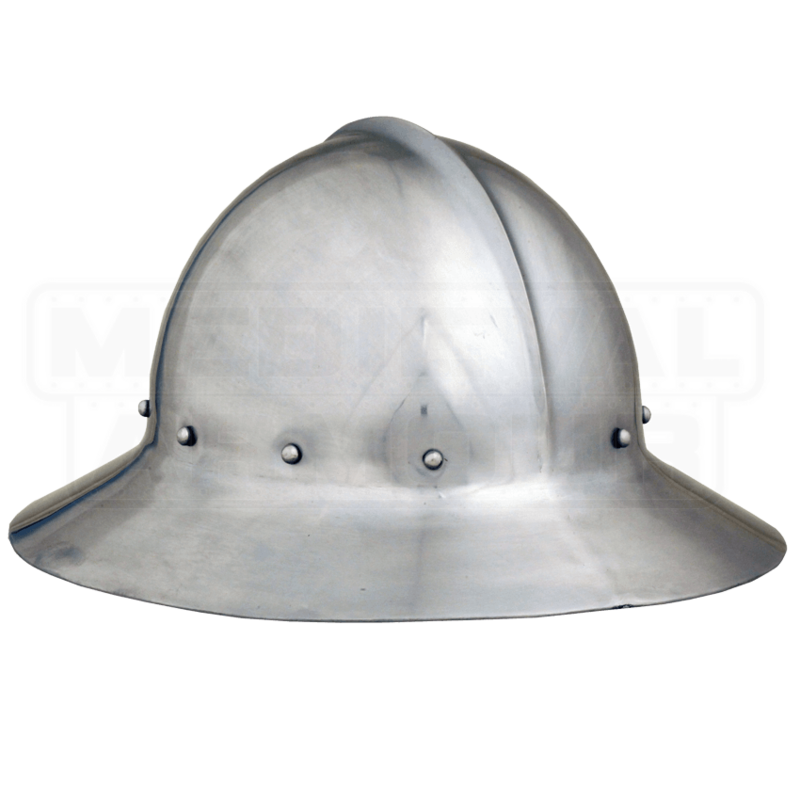 Paired with a gambeson, a coat of plates, and some other protective pieces, this Foot Soldiers Kettle Helmet is a good start to any medieval fighters look, as well as a great piece of protection to add to your attire, when you are making your way onto the field of battle.